The quality of the building is excellent. As usual we evaluated the older homes they built to see how they wear, and they held up very well. After speaking with the owners of these homes they seemed very pleased. The quality of finishes is EXCELLENT, and the water barrier they put on the foundations is GREAT peace of mind. My only misgivings would be they built my neighbor's concrete pad slightly on our property line (only a few inches, but still.......), and the woman who handles upgrades was not very helpful at all. Thank you for the review Joe! Choosing a builder is a very hard decision, especially with so many good options available. We’re glad to hear that you took the time to talk to others and ultimately choose Dolce Vita. Things like water barriers aren’t exciting to most, but we take great pride in how our homes from the ground up. If you would like to provide any additional feedback regarding the upgrades or grading, don’t hesitate to send an email to support@dolcevitahomes.ca and it will be shared with management. We purchased a condo at the Qualico development in the Rutherford Rd. area of Edmonton. The unit is FLAWLESS, and the decorator was just incredibly talented, she took our ideas and just made them "pop". The quality of the work is just exceptional, vastly better than the last 3 condos we lived in. We drove to all the old Qualico buildings to see how they held up, and they were flawless as well. I still feel good about my decision to work with them. 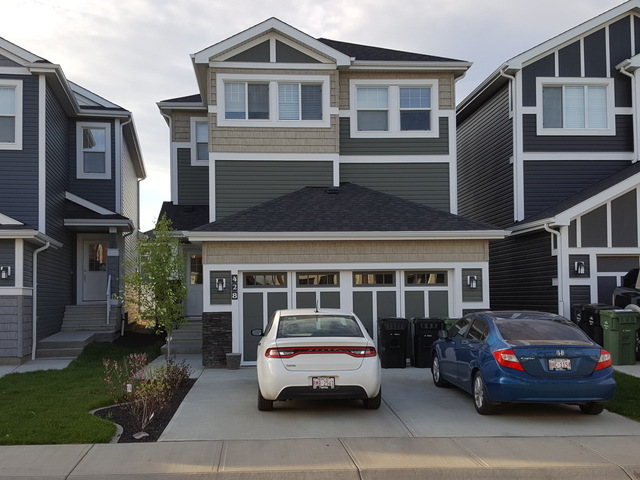 We did extensive research before selecting a builder in the West Haven neighbourhood of Leduc. What sold us on Encore was their "Master Builder" accreditation. This means they follow building practices that in many ways exceed building code. After living in my home for nearly 5 years I can honestly say we LOVE IT. Not even a nail pop in the wall (weird for a new home). Our home has been totally problem free. Ask those in the neighborhood as we did, this way you aren't just getting the people who are complaining. Also consider driving through one of their old neighbourhoods before buying in a new one. You will see these homes pass the test of time VERY WELL.